Home Tags Posts tagged with "fourth deck"
Italian divers have found the bodies of two women on the wreck of the cruise ship Costa Concordia, bringing the confirmed death toll of the disaster to 15. Italian authorities say the pumping of fuel from the stricken Costa Concordia can proceed in tandem with the search of the wreck. 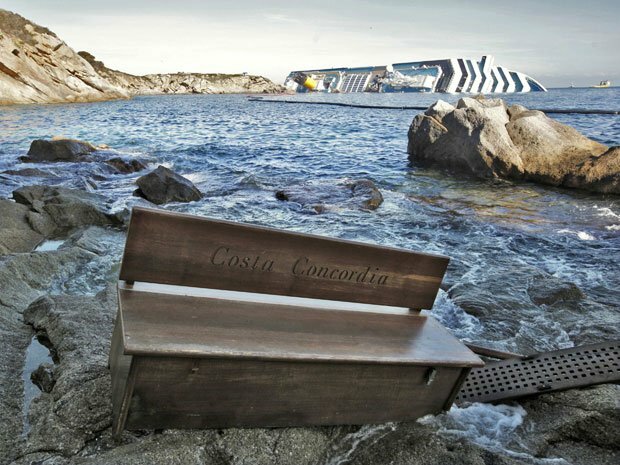 Costa Concordia ran aground off the Tuscan coast on 13 January with 4,200 people on board. It is carrying about 1.9 million litres of fuel in 13 tanks. An Italian naval vessel is on standby in case of oil leaks. The bodies of the two women were found near the internet cafe, on the fourth deck. The women’s families have been notified, officials say. There is no decision yet on when fuel pumping will begin but the civil protection agency has said it is likely to start within the next 24 hours. Civil protection official Franco Gabrielli told reporters on Giglio there was no risk the Costa Concordia would drop down to a lower seabed. “We are ready to go,” an official from the Dutch salvage company Smit said. “As soon as we get the green light, we start the work”. The salvagers must first attach steel moorings to the front of the ship. They will not want to start pumping in the dark, she says, so work is likely to begin on Tuesday. Although there has been no leak so far, the civil protection agency says there is pollution in the water from solvents and disinfectants which were on board the vessel. Search and rescue work has been suspended several times owing to poor weather. Coastguard and navy divers have been blasting their way into submerged areas of the vessel using explosives in an effort to find those unaccounted for. Emergency officials said on Saturday they would not end the search until the whole ship had been examined. The captain of the Costa Concordia, Francesco Schettino, is being detained under house arrest while his actions are investigated. The death toll of Costa Concordia disaster is raised to twelve after the body of a woman has been found on board of the Italian cruise ship. The woman, who was wearing a life jacket, was found by divers on the fourth deck of the Costa Concordia. Twenty people are still missing after the ship, with 4,200 people on board, struck a rock in shallow waters on 13 January off Tuscany’s Giglio island. Costa Concordia captain, Francesco Schettino, is being investigated for manslaughter, which he denies. An unnamed police official said the woman’s body was found at around 13:30 local time (12:30 GMT) and was taken to the mainland. “They will have to rely on DNA tests now to identify the victim after a week in the water,” he told AFP news agency. Coastguard and navy divers resumed their search on Saturday, blasting their way into submerged areas of the vessel using explosives in an effort to find those unaccounted for. Coast Guard spokesman Cosimo Nicastro said the body was found during a particularly risky search of an evacuation meeting point near the rear of the ship. “The corridor was very narrow, and the divers’ lines risked snagging” on objects in the passageway, Cosimo Nicastro said. Rescue officials on Saturday said they would not end the search until the whole ship had been examined. One official says swift action needs to be taken to remove the fuel that is on board. An Italian naval vessel is on standby as a precaution should there be an oil leak. The operator of the Costa Concordia is facing a class-action lawsuit in the US, it emerged on Friday. Italy’s consumer association Codacons and two US law firms said they would file the suit against Costa Cruises on behalf of the passengers. Captain Francesco Schettino is under house arrest, accused of multiple manslaughter, causing a shipwreck, and abandoning ship before all passengers were evacuated. 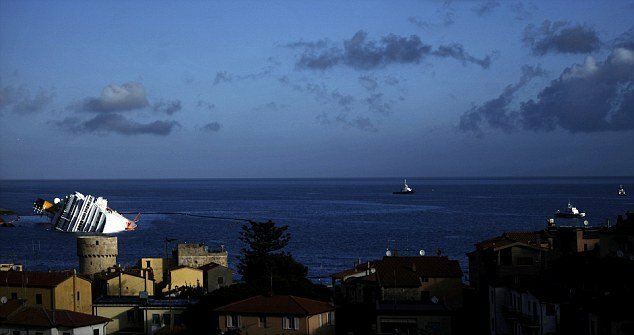 Prosecutors say Francesco Schettino was sailing too close to Giglio on an unauthorized course in order to perform a “salute” – a greeting to islanders.